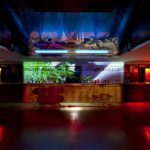 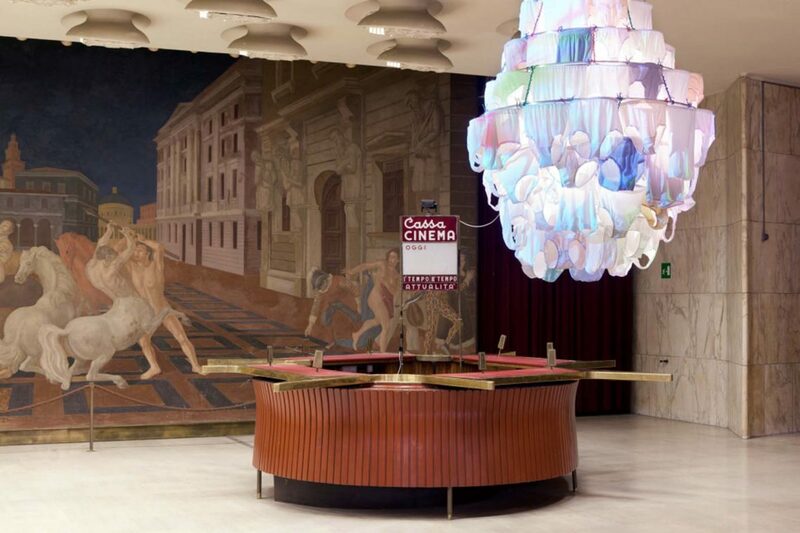 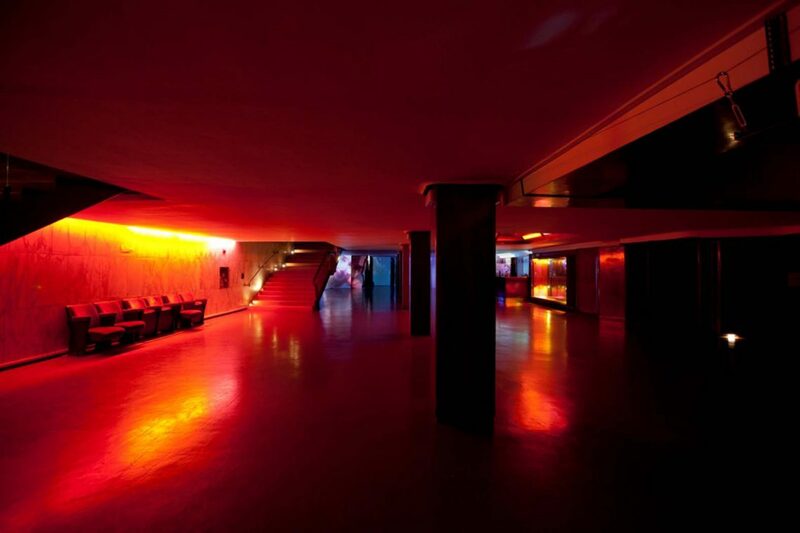 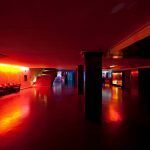 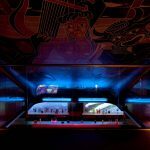 Designed by architect Alziro Bergonzo and opened in 1950, the Cinema Manzoni is part of a stately edifice conceived to house shops and commercial venues on Via Manzoni, in the heart of Milan. With a surface area of over 5000 square meters, richly decorated and frescoed, an enormous 1400-seat auditorium, and showing only first-run films, the Manzoni immediately came to be seen as the most elegant movie theater in the city, and was used as a location for important films such as Michelangelo Antonioni’s Story of a Love Affair (1950) and The Lady Without Camelias (1952). 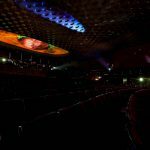 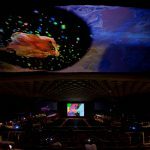 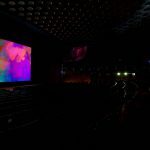 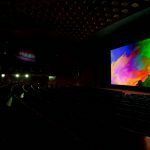 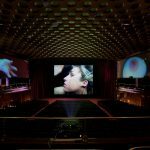 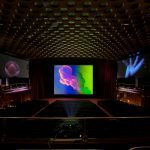 In 1955 it became the first movie theater in Italy, and the third in the world, to introduce Cinerama, an innovative three-screen panoramic projection system. 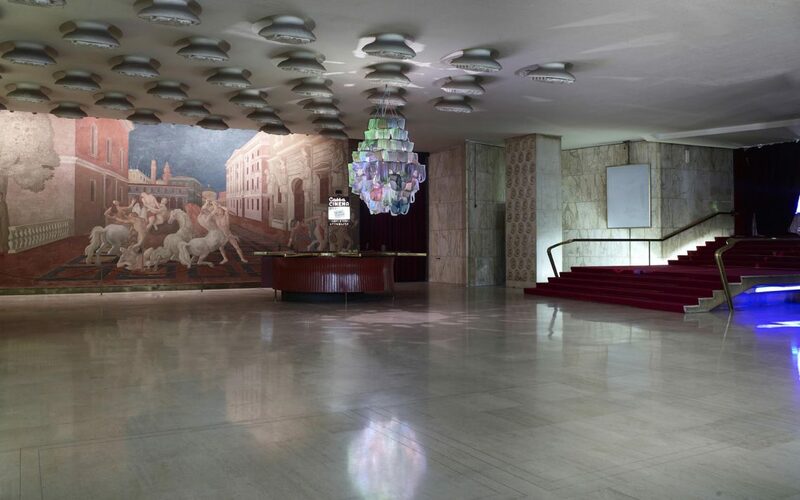 These unique features made the Cinema Manzoni one of the most remarkable movie theaters in Milan and in the entire country for over fifty years, until it definitively closed on 25 September 2006. 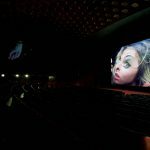 As a child, she decided to adopt the unconventional name Pipilotti, which combines Lotti, a nickname for Charlotte, with Pippi Longstocking, the Astrid Lindgren’s character with whom she strongly identified. 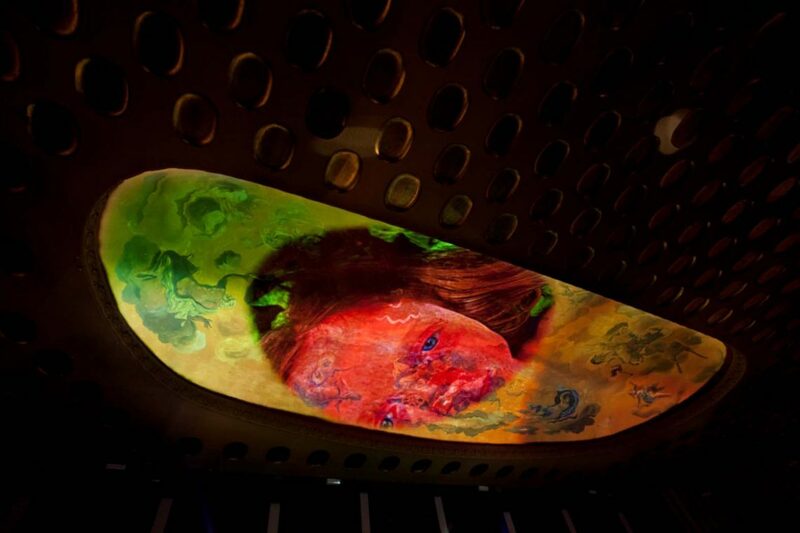 After studying applied arts, illustration, photography and visual communication in Vienna and Basel, and founding the all-female rock band Les Reines Prochaines, with whom she created albums, concerts, videos and live performances, Pipilotti Rist undertook the artistic career that has led her to exhibit in the world’s most important museums. 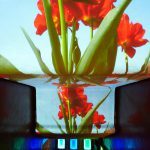 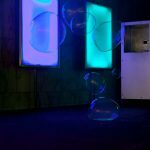 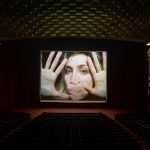 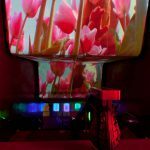 Parasimpatico is the first major solo exhibition in Italy by Pipilotti Rist, a Swiss artist who has been working since the Nineties to revolutionize the way we think about video. 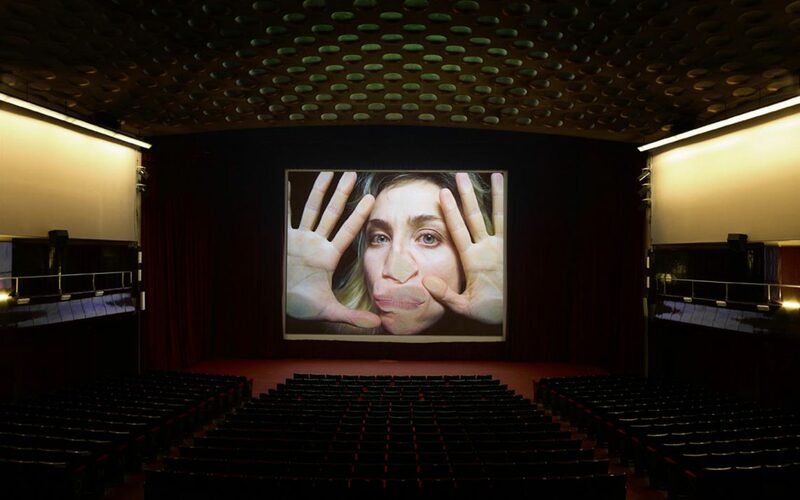 Her luxuriant videos and multimedia installations, which explore sexuality and media culture with a playful, provocative blend of fantasy and everyday life, have been featured in major exhibitions at the world’s best-known venues, from the New York MoMA, to the Centre Pompidou in Paris, to the Venice Biennale. 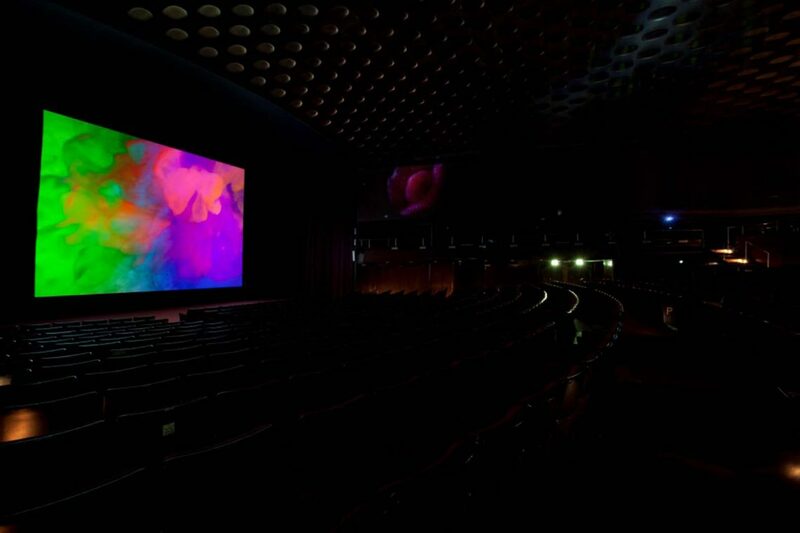 Conceived for the evocative spaces of the former Cinema Manzoni—for over fifty years, one of the most important movie theaters in Milan, but closed to the public since 2006—Parasimpatico combines older works with new pieces conceived for this show, which transports us into a world of floating visions, vibrant, psychedelic colors, hypnotic soundtracks, sensuality and ethereality. 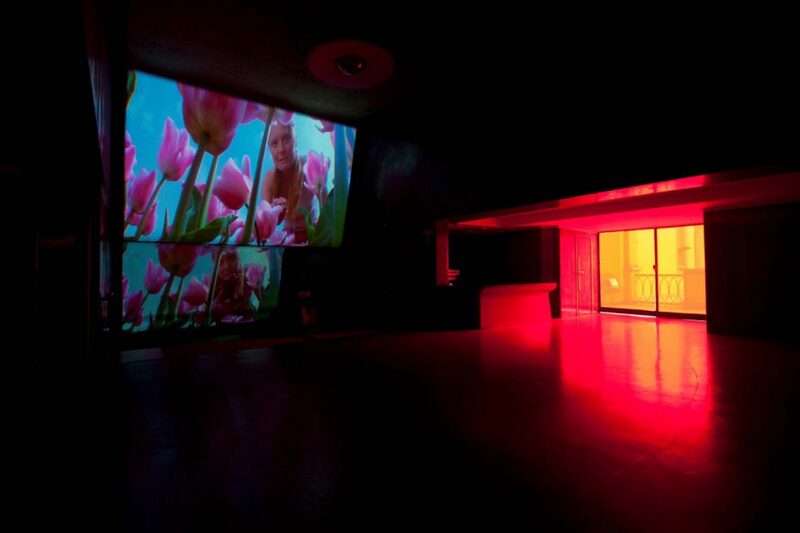 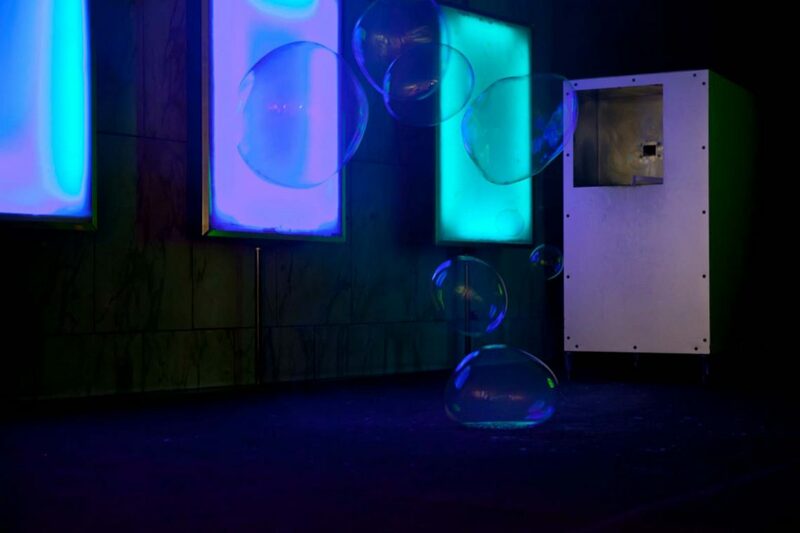 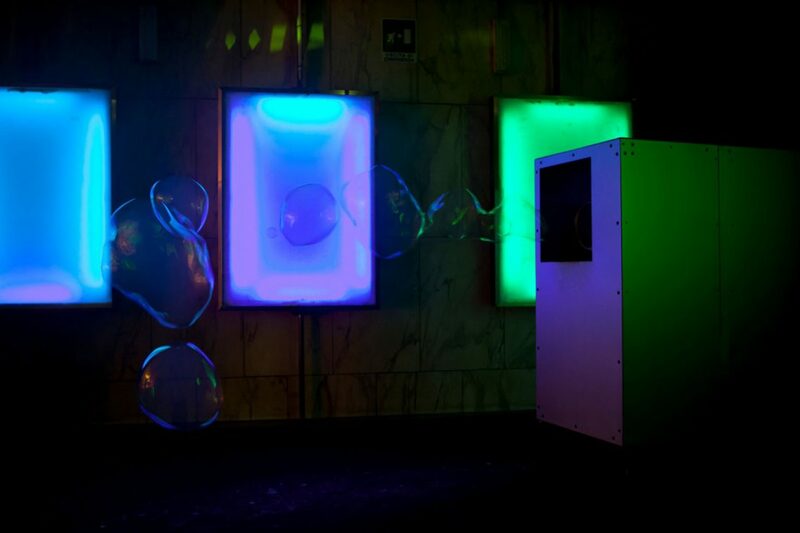 The gateway into Pipilotti Rist’s work is our emotional side, the part that reacts involuntarily to external stimuli. 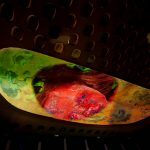 This observation inspired the title for her exhibition with the Fondazione Nicola Trussardi, Parasimpatico: with her usual touch of humor, Pipilotti Rist is referring to the division of the nervous system that governs the body’s involuntary functions, such as digestion, relaxation, rest and energy storage. 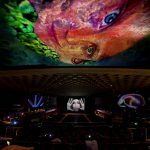 Her project transforms the theater into a huge, living creature, mingling cinema and television, hallucinations and high-definition images, dreams and reality: the sumptuously decorated spaces of the Manzoni—from the lobby to the grand staircase, and from the auditorium to the bar—are wrapped in a new skin of images, an enveloping carousel of sound, light and color that restores a joyous magic to what was once Milan’s most prestigious movie theater, in a final flutter of life. 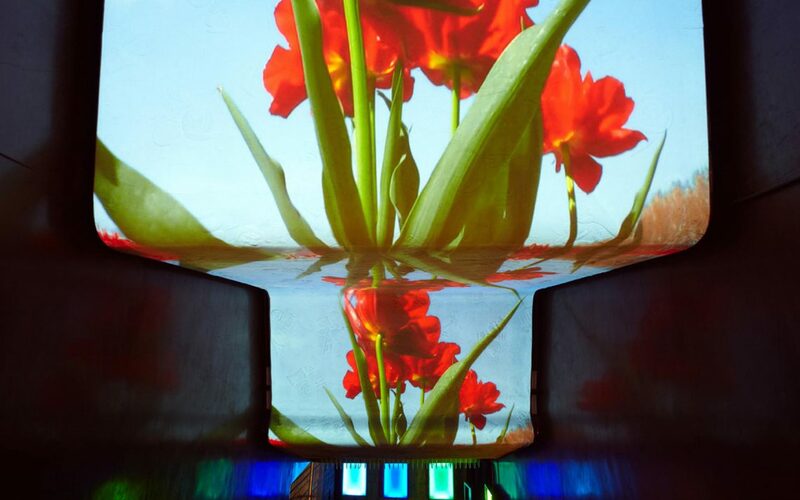 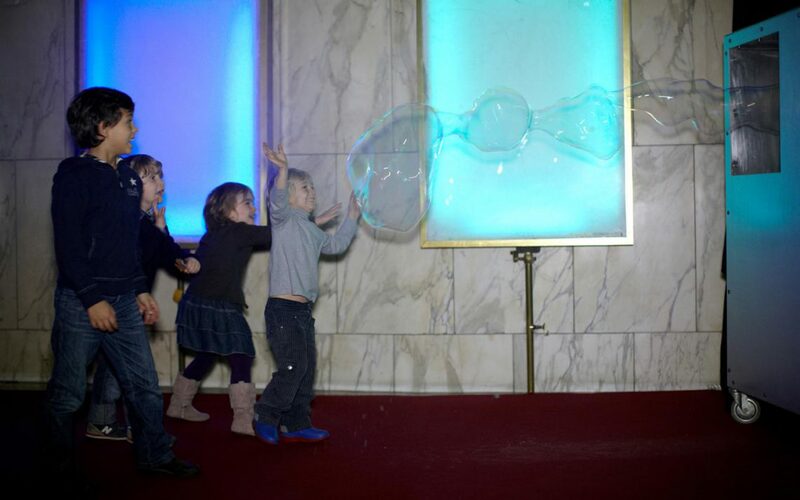 Like a modern-day Pippi Longstocking, the heroine of children’s literature who inspired her nickname, Pipilotti Rist uses video images to project yearnings and emotions, like a new form of organic life that viewers can perceive with their bodies as well as their eyes. 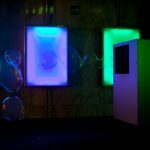 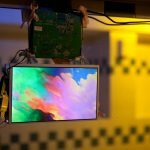 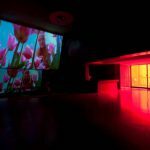 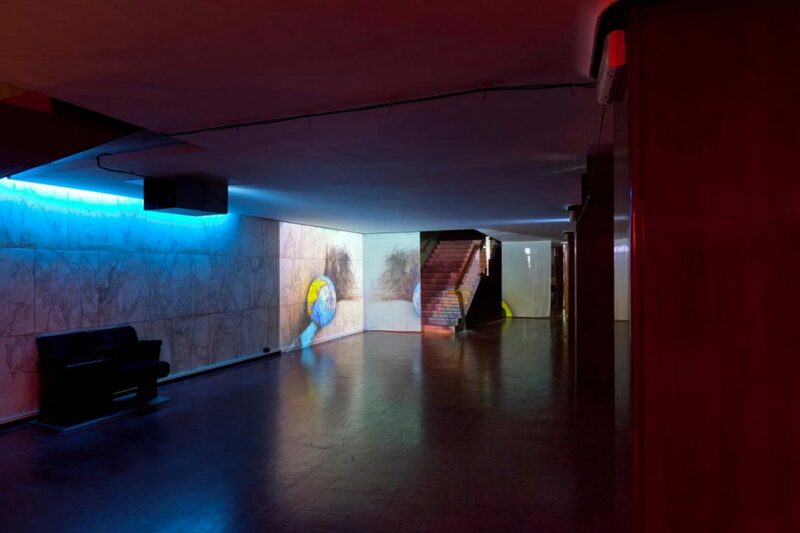 Often hidden in unexpected places—toilets, liquor bottles, seashells and handbags—or projected onto evocative surfaces—church ceilings or giant screens—her installations are explorations of the senses, all-enveloping experiences where any physical and psychological distance from the viewer is abolished. 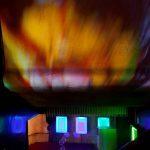 This is true of Cape Cod Chandelier, the work that greets visitors as they come into the Cinema Manzoni lobby: a striking fabric fixture hanging near the former ticket booth, onto which Rist projects shifting shapes and colors that form a sort of oversized kaleidoscope. 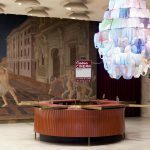 This delicate, ethereal lamp thus illuminates the lobby, immediately conjuring up a feeling of suspension that hints at the journey which the artist has in store. 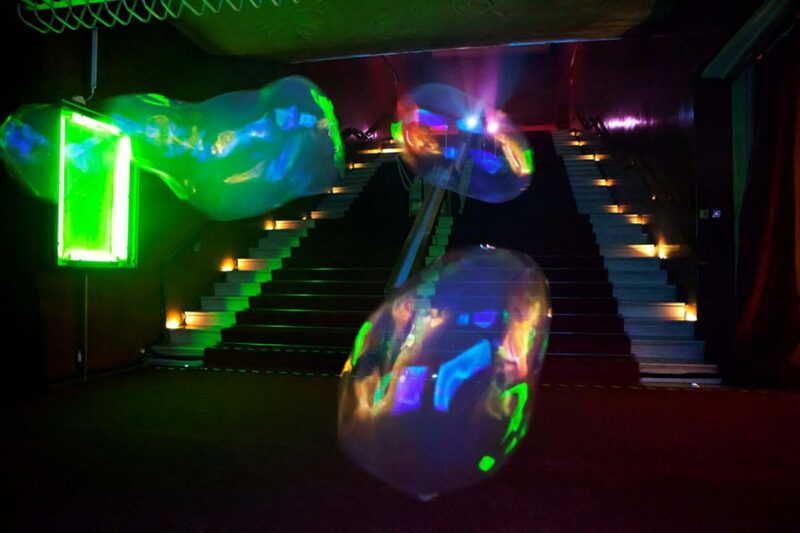 Just past the threshold that leads to the grand staircase, the sculpture Nothing ushers us into Rist’s world of floating visions: fragile, ephemeral bubbles of soap, as impossible to grasp as a Zen koan, burst into white puffs of vapor and dissolve upon contact with reality. 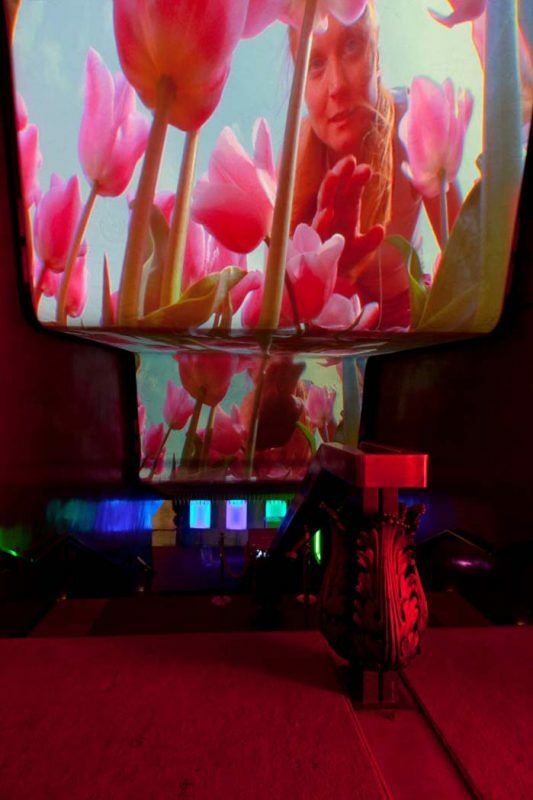 A few steps on, moving up the stairs that lead to the auditorium, the video installation Lobe of the Lung appears overhead: the red-headed female character Pepperminta wanders through a field of colorful tulips, digs into the mud with her bare hands to find tiny earth-dwellers to befriend, wades in the water and plays with a white hen. 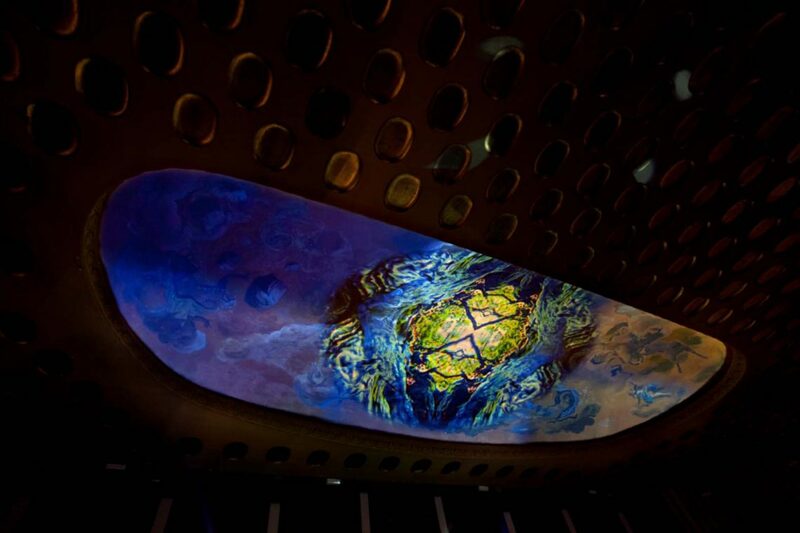 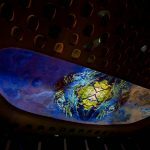 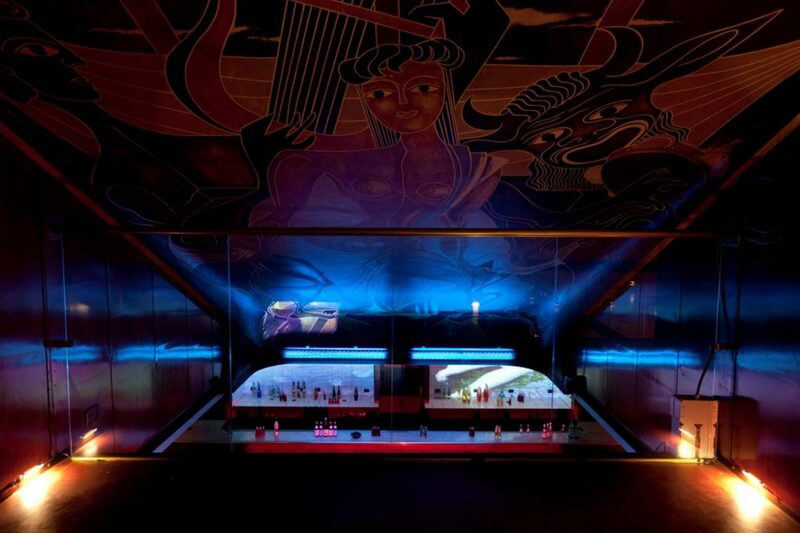 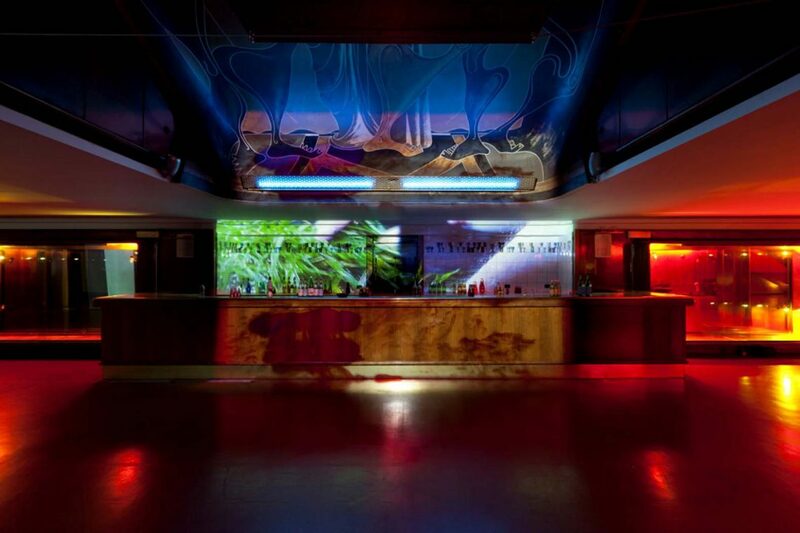 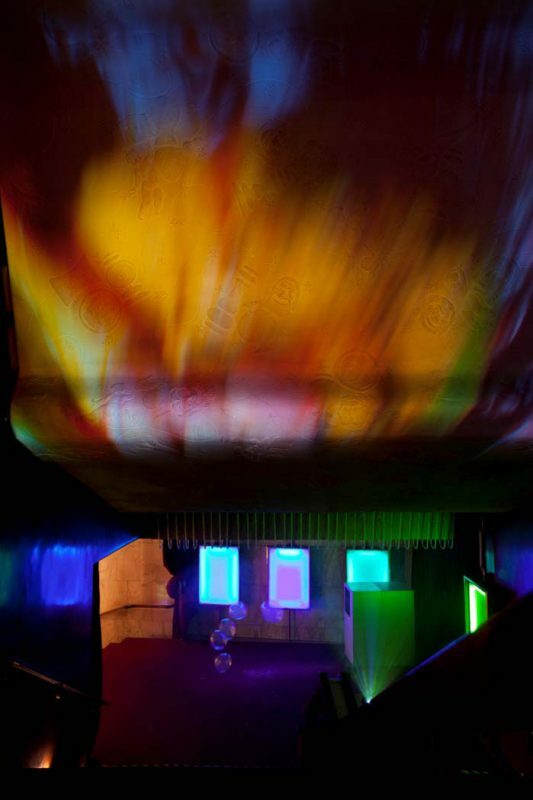 The images, projected directly onto the ceiling, are perfectly superimposed on the undulating surface, incorporating its bas-relief decorations and running in a dreamlike sequence whose fragmented narrative rhythm keeps brusquely changing tone—from troubling, to sensual, to innocent—and overwhelming the viewer with vibrant colors, constant sensory stimuli and an irrepressible wave of positive energy. 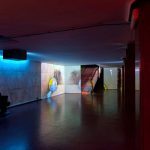 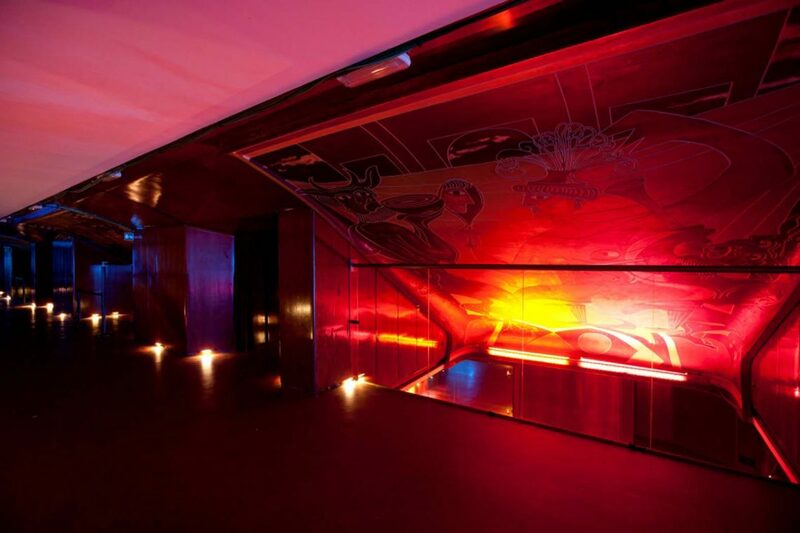 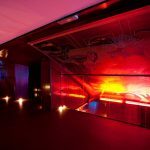 At the top of the stairs, in a foyer dimly illuminated by shifting, suffused light, two works are camouflaged in the surroundings, blending into the spaces that lead to the auditorium. 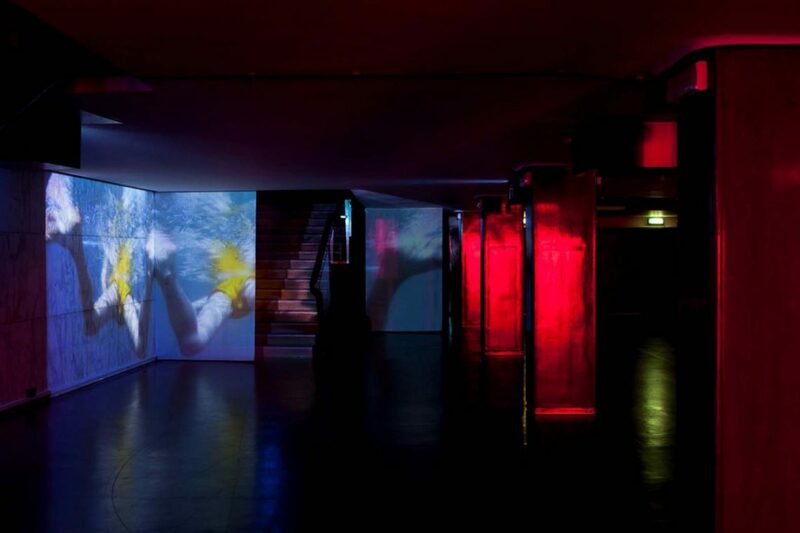 Behind the bar, on a wall of soft drink bottles, we glimpse a projection of I Am Called a Plant: a naked woman with chalk-white skin, wearing only a pink wig, looks at her own reflection in a puddle within a large garden. 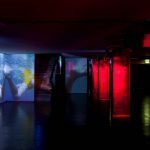 In this game of optical illusions, Pipilotti Rist presents an exploration of the female state that plays with the language of advertising, turning it into self-parody. 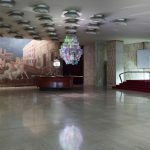 In the lobby, amid the showcases, sweeping stairs, and magnificent ceiling decorations, we find the fluctuating images of Sip My Ocean: gardens of waving seaweed and kingdoms of coral alternate with bodies that float in the water as if in a primordial amniotic fluid, a borderless femininity that emanates sensuality and eroticism in pastel hues. 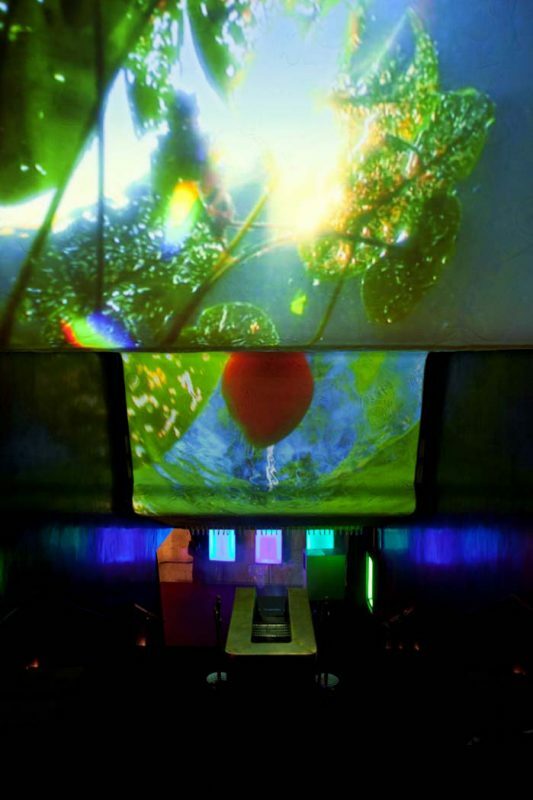 Like in Alice’s wonderland, things get curiouser and curiouser, as two small monitors in the upstairs restrooms project Solution for Man and Solution for Woman: installed in the lavatories, these abstract images—shapes and colors dissolving in constant transformations—are like exquisite little surprises for the public. 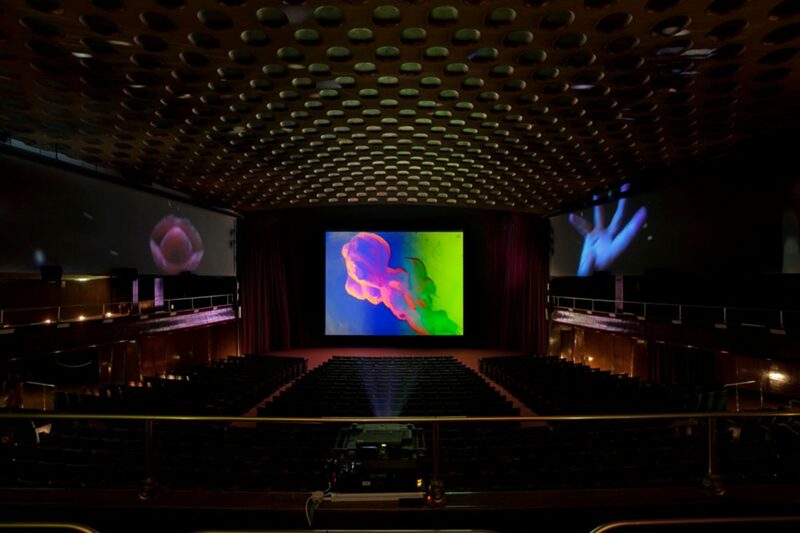 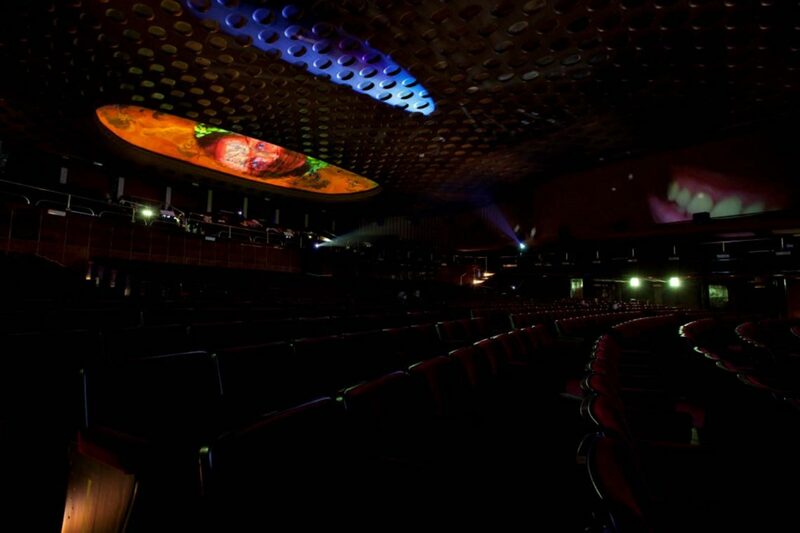 Finally, the magnificent, imposing auditorium houses three major video works that are again integrated with the space. 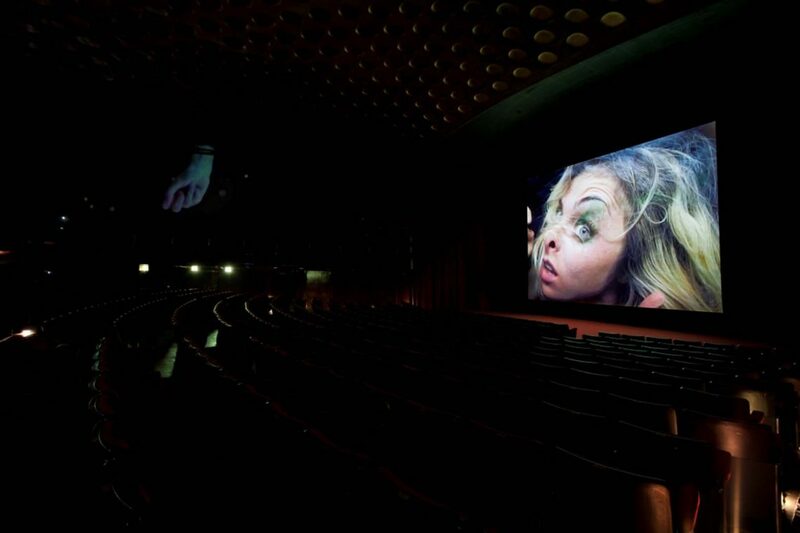 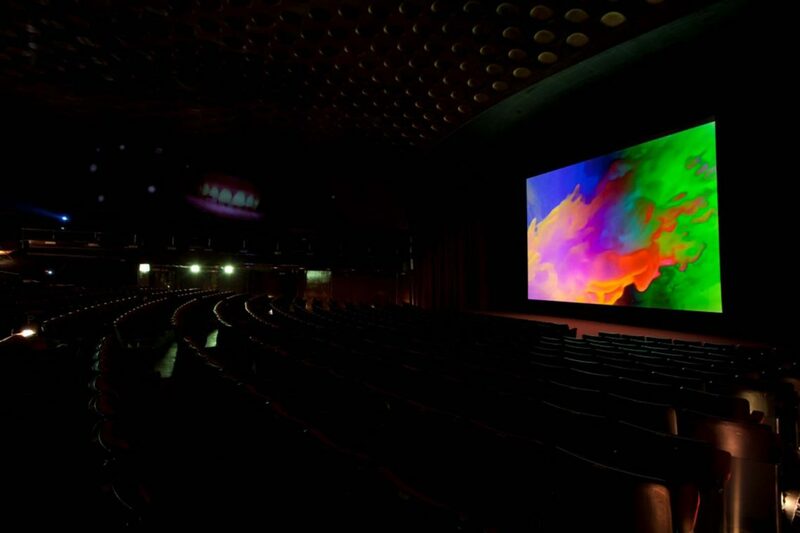 Projected on the original, panoramic screen (15 meters long) is Open My Glade, a giant self-portrait that shows the artist’s face, in an extreme close-up, crushed against a pane of glass as if it were trying to break through and come crashing into the auditorium. 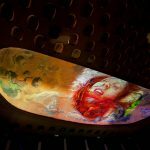 Across the entire dome of the ceiling, like a fancifully shifting starry sky, floats the projection of Extremities (Smooth Smooth): bits of human anatomy—breasts, ears, feet, penises, mouths—floating like heavenly bodies and galaxies in a vast black sea, where our suspended gaze seems to wander through the depths of space. 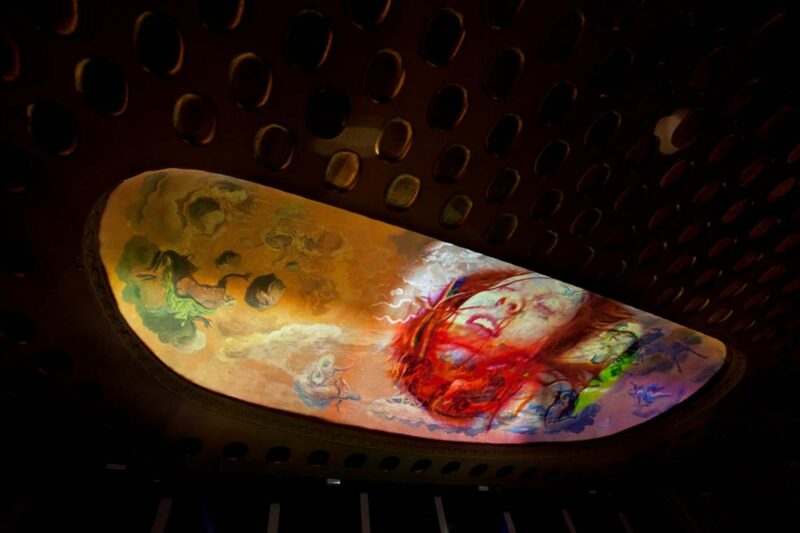 Last but not least, in the frescoed lunette near the balcony, Homo Sapiens Sapiens seems to create a dialogue with the fresco by Nicolò Segota: in a cross between the Garden of Earthly Delights and the Garden of Eden, where corporeality seems reconciled with rationality, and sensuality takes on an almost spiritual dimension, this video rewrites the story of original sin. 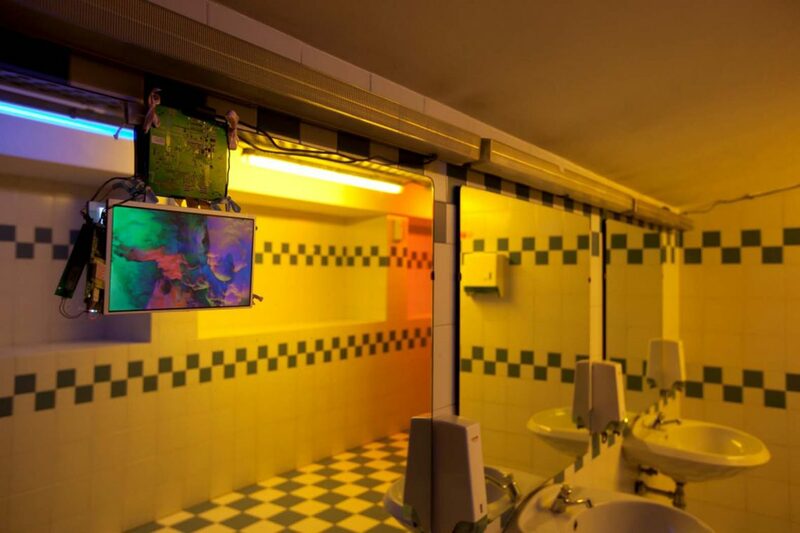 What would have happened if that paradise had been inhabited not by Adam and Eve, but Eve and Eve? 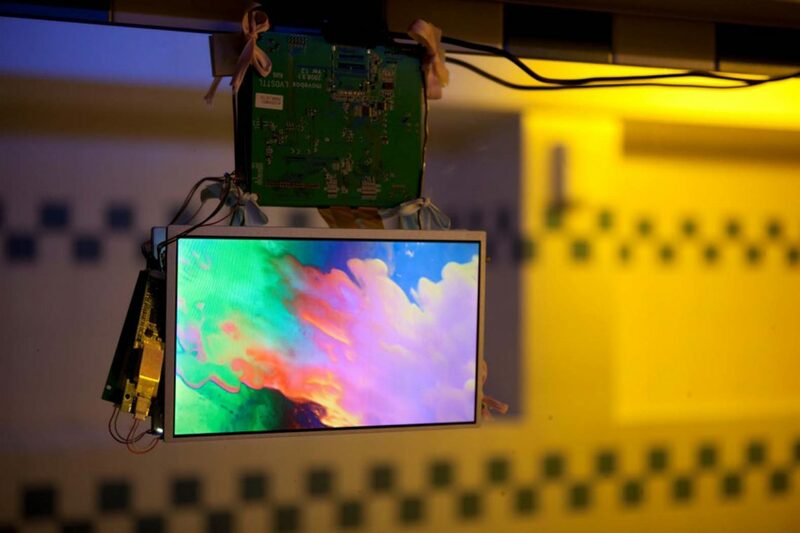 Who would have plucked the apple? 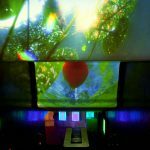 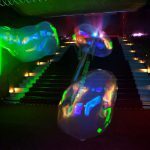 In Parasimpatico, Pipilotti Rist once again takes us on a surprising, enchanted journey where the rules of space and time are turned on their heads, and personal memories, dreams and fantasies are mingled to generate a whimsical, optimistic, unfettered world, as if through the eyes of a child. 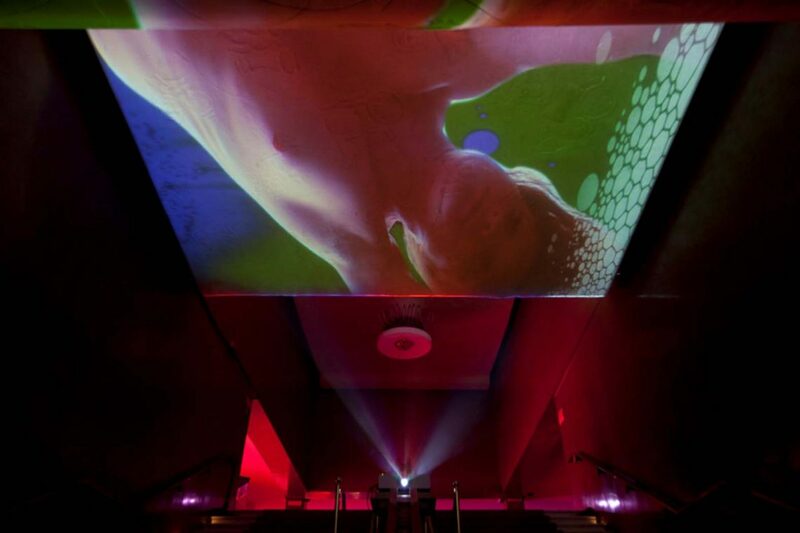 The universe of Parasimpatico is reality in reverse, where everything seems upside-down because everything is magical and possible: with this purity of vision, Pipilotti Rist breathes a final burst of energy into Cinema Manzoni, which stirs and comes to life, clasping visitors in a warm embrace of images, dreams and colors.